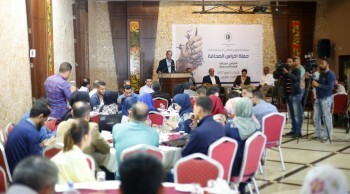 On Wednesday, 6th March 2019, the Press House participated in a conference had been organized by the Palestinian Center for Development & Media Freedoms “Mada” about the indicator of the Press Freedom in Palestine. 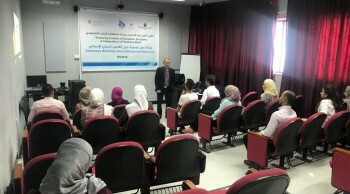 During his speech, the chairman of the Board of the Press House, Mr. Bilal Jadallah, emphasized the importance of conducting scientific studies in the field of Journalism in general, and in media freedoms in particular, noted that the result of this study should be based on scientific indications as well. 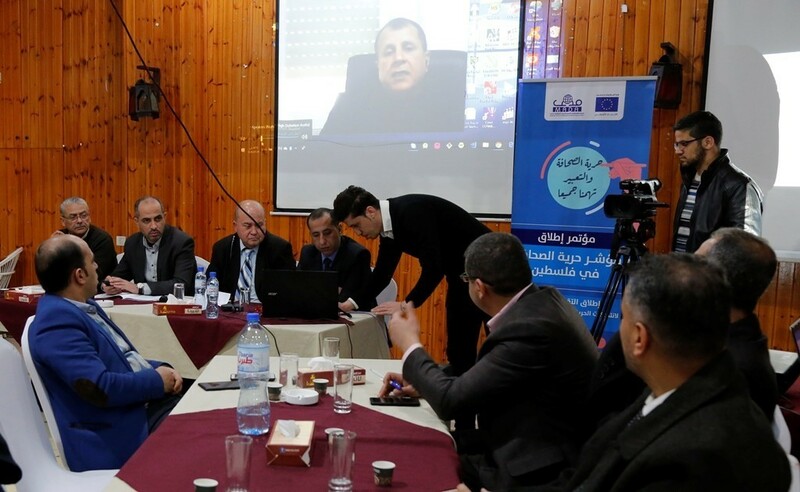 Mr. Bilal explained that the figures reported in this study shows that the occupation is the main cause of the press freedom violation , besides the internal conflicts fed by the Palestinian internal division. 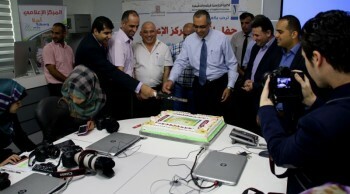 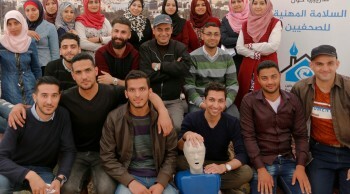 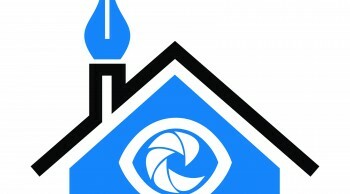 He called for the adoption of the recommendations and findings of this study, and to motivate the international community to find a method to put pressure on the Israeli Occupation to end this violations including the murdering of the journalists, stressing the need for a concerted effort through media unity to overcome the crisis that passes by the Palestinian media. 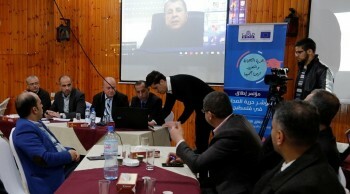 Conference Participants underscored the importance of the freedom of expression and freedom of Press in shaping public opinion, they also stressed that journalist should enjoyed their fully rights, especially that journalism approach is debatable one and should not to be subject to prevention.